Ranked no. 17th Filipino light Flyweight boxer Joey Canoy is set to face the former WBA and IBO World minimumweight champion Hekkie Budler of South Africa for the vacant IBO world light flyweight title on February 2, 2017, at Emperors Palace, Kempton Park, Gauteng, South Africa. Jason Canoy is a 23 years old boxer from General Santos City, Cotabato del Sur, Philippines. He has a record consisting of 12 wins including 6 victories by way of KO and has only 2 defeats. Canoy won his last 2 fights via TKO against Fabio Marta and Toto Landero. He is only lost to Jerry Tomogdan via decision and Jesse Espinas via TKO in 2016. On the other hand, Hekkie Budler is top South African boxer with the record of 30 wins including 9 victories by way of KO and has only 2 defeats. He is a world champion since 2009 and only defeated by Luyanda Nkwankwa and Byron Rojas via decision. 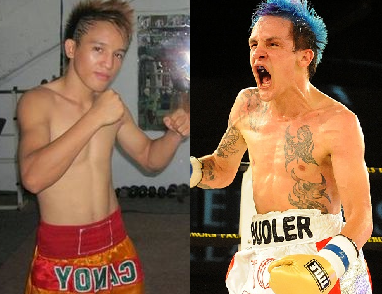 Budler defeated some Filipino boxers including Florante Condes in 2012 via UD, Juanito Rubillar in 2010 via decision and Renan Tronco via SD in 2013. Budler won his last fight against Siyabonga Siyo last October 2016 to win the vacant WBA Pan African light flyweight title via unanimous decision.